The Russian General Staff confirmed Friday reports of a regime takeover in the northern Syrian town of Manbij, currently held by U.S.-supported Syrian Democratic Forces, which is dominated by the YPG, the armed wing of PKK terrorist group's Syrian offshoot PYD. 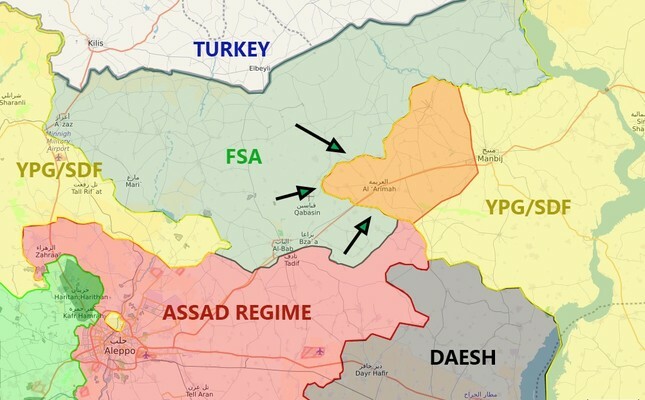 Sergey Rudskoy, chief of the Russian General Staff's main operations department, said in a press conference that as a result of negotiations, the PYD has accepted handing over Manbij and its surrounding area to the Assad regime. In the press conference, which was held in Russian Defense Ministry in Moscow, Rudskoy stated that the regime would start providing basic government functions in the area starting March 3. Defense Minister Fikri Işık said in a speech in Turkey's Balıkesir that Daesh had first retreated from several areas in anticipation of the regime's takeover, and now, the YPG is retreating from other areas to make way for the regime. "This is in fact a development that proves our claim on the regime, the PYD and Daesh cooperating at times," Işık said.